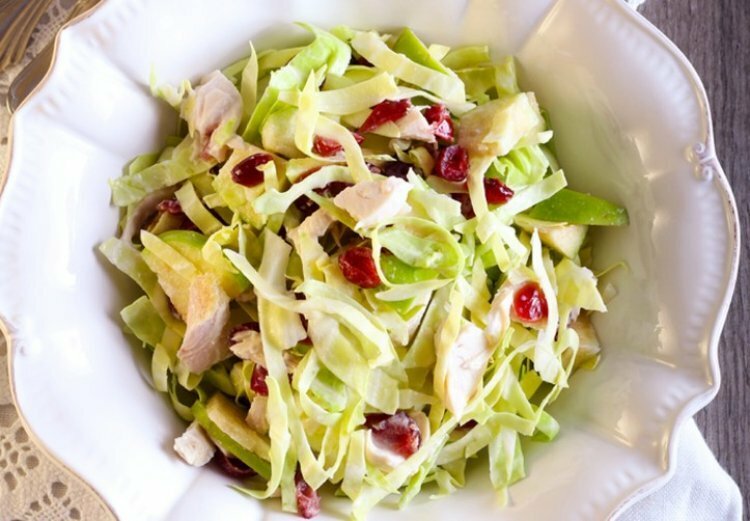 You cut the cabbage into thin strips and the celery into thin slices. Place in bowl. Mix juices and lemon zest. Pour mixture over salad. Decorate with dried cranberries.